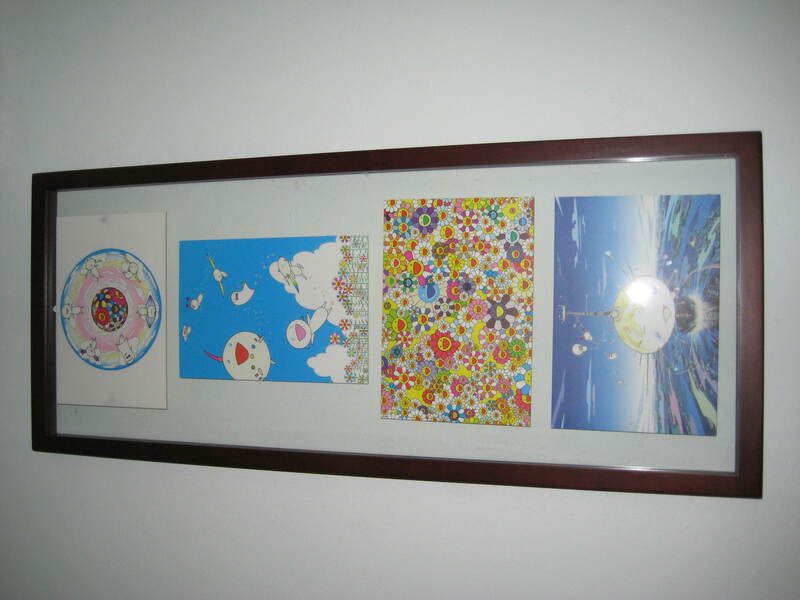 If you haven’t heard of Takashi Murakami’s name, I’m sure you have seen some of his artwork. This art may have come in the form of a Kanye West album cover, a Louis Vuitton bag or nice piece of stationery. This Japanese artist is great at business, but not in an obnoxious, Damien Hirst way. Instead the artist embraced his geeky nerd nature and because of it has allowed his art to be accessible, affordable and very collectable. Often branded as apart of the Neo-Pop Art movement which includes artists like Jeff Koons, Murakami embraces the commercial aspect of high art. However calling him Neo-Pop is too simple. Murakami is Superflat. The Superflat Movement is led by Murakami himself and is all about taking culture and flattening it, making it superficial. This harks back to the incredible influence of American culture on Japanese culture after the events of the Second World War. Superflat is a perfect reflection of consumer culture today which is extremely superficial and more obsessed with labels than ever before. The fact Murakami teamed up with Marc Jacobs in Louis Vuitton to create an incredibly popular update on the classic LV monogram is a testament to this. The artist’s regular artwork is an omage to his roots. These roots are as an outcast of Japanese scoiety, labeled as an Otaku. A person who is reclusive, obsessed with anime, manga, comics, figures and video games is often described as an Otaku in Japanese society. These individuals were often looked upon with disgust, and lower members of society. However with people like Murakami embracing otaku culture and finding international success, the position of the Otaku on the margins of society is being reconsidered. Therefore Murakami’s art is filled with cute girls with big eyes and wide smiles, as well as colourful characters that bounce around his canvases. These characters find themselves not only on gallery walls but on large amounts of murchandise. One is able to buy small, collectible versions of Murakami’s sculptures as well as stickers, plush toys and stationery featuring his cute creatures. The artist manages to be accessible to anyone with any sort of budget while still managing to sell works on the high art market for huge prices. He appears to be far more genuine about his art and what he is doing with it than Hirst would be, and because of this he should be admired whether it is true or not. The fact he is extremely collectable appeals to the collector in any geek and what he is doing for Otaku culture should also be applauded. I highly recommend him and if you come across his work being exhibited don’t think twice about visiting it. And be sure to check out the gift shop for some sweet merchandise too. This entry was posted in Art and tagged Artist, Cute, Fine Art, Kawaii, Louis Vuitton, Murakami, Otaku, Takashi by Jonathan Day. Bookmark the permalink.